Botox is seen as an effective anti-aging treatment to prevent those unavoidable wrinkles and fine lines but a misconception that prevails across the world is that younger people shouldn’t opt for Botox . Why? Because you are too young to get it or you have scanned multiple websites mentioning case studies of oldies or pictures of older women getting it. 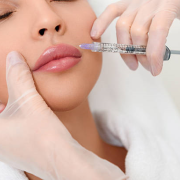 Well there is a lot more you need to know about aesthetic treatments like botox and fillers, laser treatments Cape Town, thread lift Cape Town etc. Patients who are undergoing reconstructive surgery of the face can improve the appearance of facial scars with Botox or Botulinum toxin A. BTX-A injection is best known by brand name Botox and is widely used for the treatment of facial wrinkles or fine lines. How To Choose A Safe Place To Have Botox, Dermal Fillers & Injectable Treatments? https://dralek.co.za/wp-content/uploads/2018/04/Dermal-filler.jpg 408 612 Dr Alek Nikolic https://dralek.co.za/wp-content/uploads/2016/09/Dr-Alek-Logo-Web.jpg Dr Alek Nikolic2018-04-25 12:06:182018-12-18 14:16:59How To Choose A Safe Place To Have Botox, Dermal Fillers & Injectable Treatments? Beauty is in the eye of the beholder! We’ve all heard it said; but we do live in a society where appearances are quite important. Psychologists have purported theories that show a positive relation between a person’s appearance and their success rates in various scenarios from both personal and business instances. The most common complaints people have as they grow older is wrinkles. 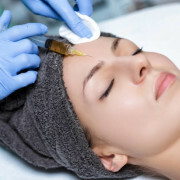 If you are troubled by the wrinkles on your face and want to look younger, you can consider Botox and fillers treatment. Let’s know more about this facial treatment.